We are thankful to report that there were four more Cham brethren who accepted Christ this past week ! It is such a blessing to see how God is working among these people for His glory. Please continue to pray for the 6-10 workers who go to the Cham village every Monday – rain or shine. The national Christians in this village are allowing their light to shine and they are making a difference. 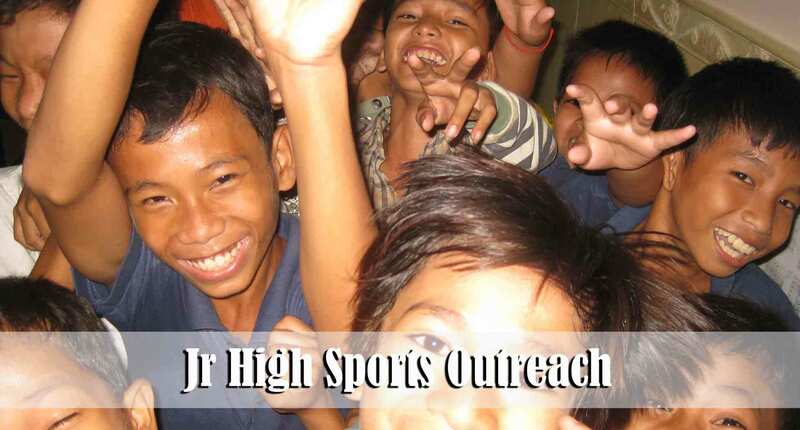 Every Friday evening our church has a sports outreach that is geared toward Jr. High and Sr. High young men. The goal is to provide a casual and safe environment where these young men can enjoy playing ping pong, badminton, and kickball. After an hour of playing they then leave the church and walk over to Bro. Keo’s home for a meal and preaching. One of our national young men preaches to them. This past Friday evening we had nearly 50 young men show up. Many of these young men also attend our Sunday afternoon Children’s Ministry. Some have never attended the church for a service. 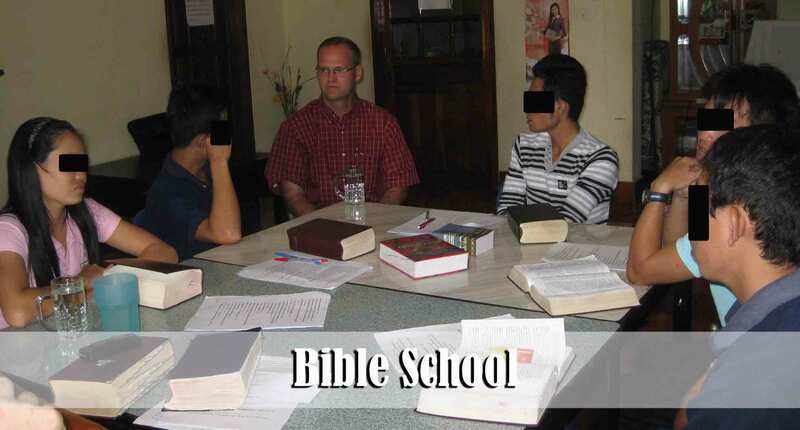 About 10 of the young men attend a Mormon private school. In fact, they come to the church still wearing their school uniform (blue shirt with the school’s name printed on it). Pray for these young men to be saved. Several of them seem to be warming up to us. Pray that their parents will not seek to prevent them from being with us. I just returned from a 10 day trip into a “creative access” country where I was privileged to help followup on three of the missionaries who are serving with our team. While I was there I was able to spend many hours listening to them and learning more about how we can be more effective in reaching that particular country and the 49 different ethnic groups who live in that country. 2 Corinthians 4:3-4 But if our gospel be hid, it is hid to them that are lost: In whom the god of this world hath blinded the minds of them which believe not, lest the light of the glorious gospel of Christ, who is the image of God, should shine unto them. 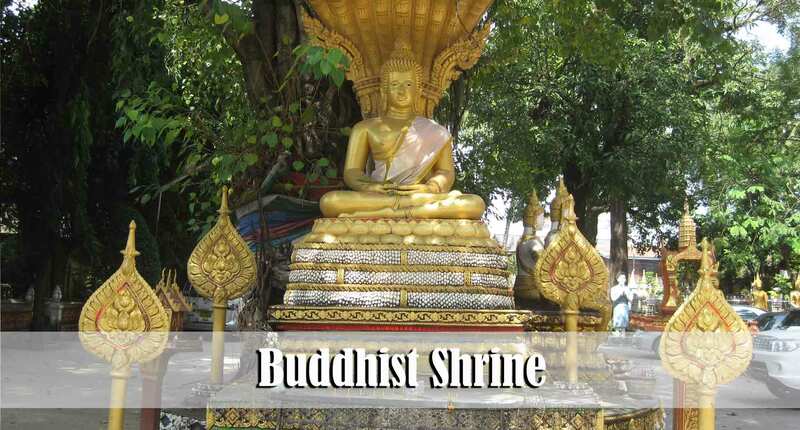 While there, I visited the most popular Buddhist temple in the country. Many years ago a young lady committed suicide at this site. It is believed that her spirit still haunts the grounds. It is believed that those who offer sacrifices to her spirit will receive special protection. How sad it was to see all of the people making their pilgrimage to the temple to seek her protection. 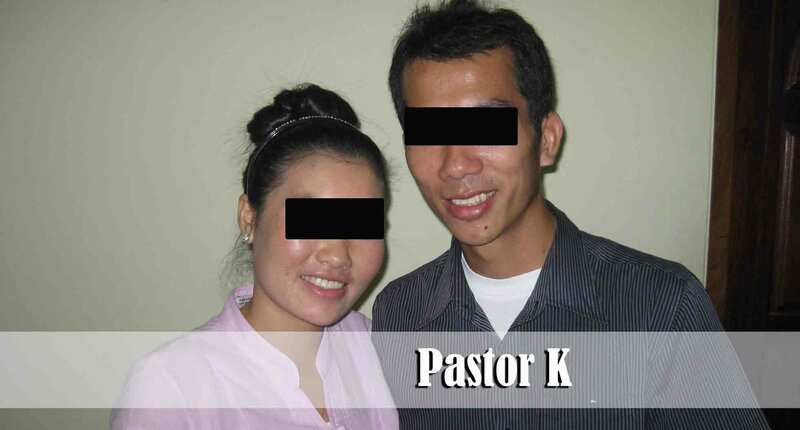 Pastor “K” and his wife are in their mid-twenties and are faithful servants of the Lord. I was blessed to be able to spend several hours with them and learn more of their burden for their people. Pastor “K” has been detained by the police on several occasions for preaching the gospel. As nationals, they do not enjoy the same protection that we as Americans presently enjoy. Pastor “K” has been told that he will go to jail if he is reported once more for doing religious work that is not sanctioned by the communist government. He does his best to be discrete but he remains committed to serving the Lord. Pray for Pastor “K” and the __________ Baptist Church of _________. I was able to spend some time with 5 of their Bible school students and was encouraged to see their zeal for the ministry. Lord willing, we will have opportunity to be involved in helping to train some of his preacher boys in the near future. At just 24 years old, Miss Sin has greater courage than many of us have ever thought of having. She is from a village about 6 hours from the capital city. She was arrested and placed in jail for being a “Jesus follower.” When she was released from jail she moved far away from her village and is currently enjoying the safety and anonymity of living in the big city. She is planning to take a trip back to her village in December with the goal of taking the gospel to her lost family. She has already been warned that she is still considered an “enemy” of the state and not to return to that part of the country. She says it is very likely that she may never see the church family again because she expects to be arrested once again when she arrives at her village. She takes the Great Commission seriously and feels a personal responsibility to try and win her parents and siblings to the Lord. Please pray for Miss Sin’s safety.